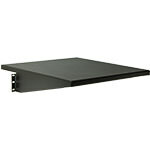 This 19" cantilever shelf fits into 1 rack space covering a depth of 12", and is the smallest shelf we provide. 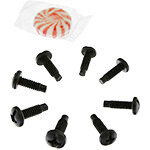 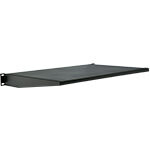 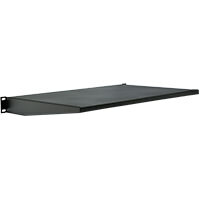 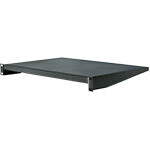 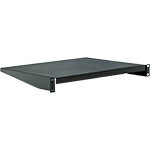 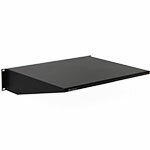 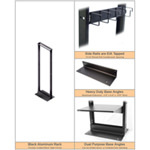 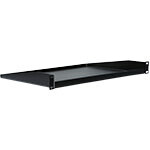 These shelves are ideal for supporting equipment and include the 10-32 and 12-24 mounting screw kits. 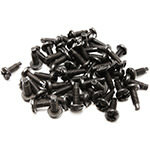 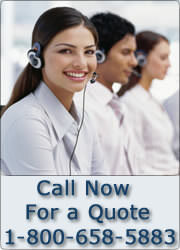 Each is made of premium 16 gauge steel and is finished with a black powder coat.